The UWIC Riders’ are a rugby team consisting of players from the University of Wales Institute Cardiff. This elite 7’s team takes its name from the infamous, and very messy, bus service that transports them to and from Cardiff city centre on nights out. 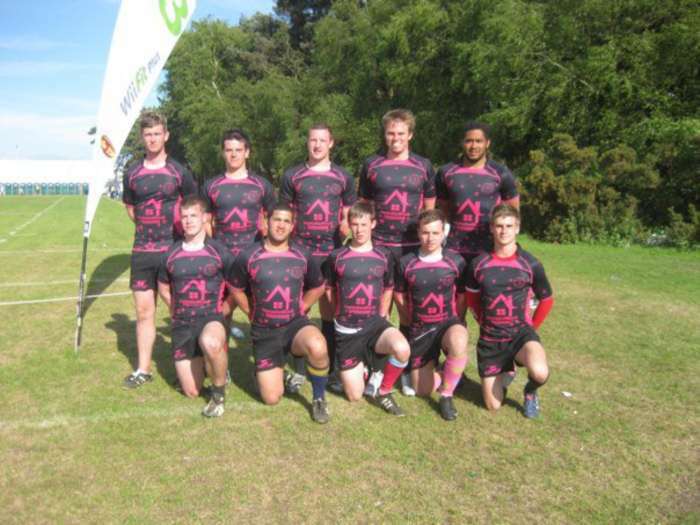 Formed in 2010 the Riders’ placed 3rd in the internationally renowned Bournmouth 7s tournament. Along with their silky skills and attractive rugby the Riders’ are famous for their club colours, Black and Bright Pink. These colours are put together spuerbly by Belief Sports to create the highest class of kit. 2011 brings a new eira to the team as they travel in larger numbers once again to Bournmouth to take on teams from around the globe, 3rd wasn’t good enough last year and we believe firmly that this is our year.